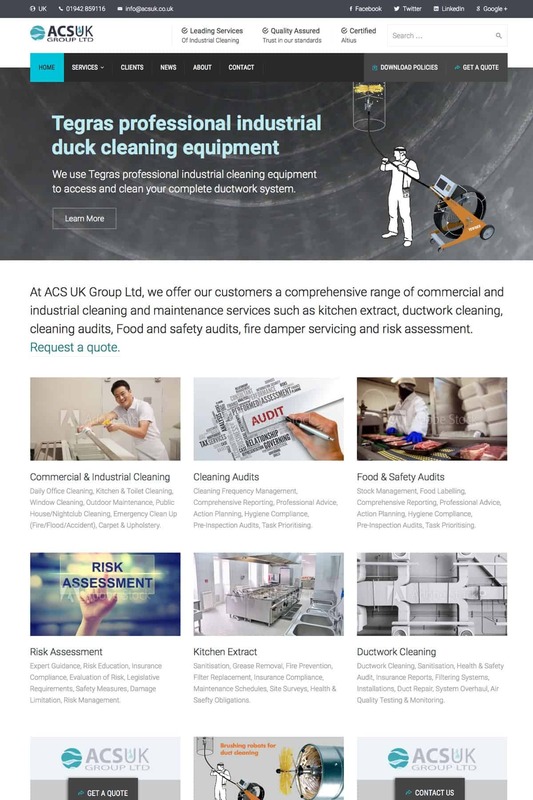 a comprehensive range of commercial and industrial cleaning and maintenance services such as kitchen extract, ductwork cleaning, cleaning audits, Food and safety audits and risk assessment. Task: ACSUK Group LTD is a returning client, looking for a fresh new website to dominate the search engines in their field of work. We created a website that supported their SEO requirements and future commitments. The site features lots of interactive rich movement and clickable areas, presenting the information in small quantities to the user. The site also features a download area to keep users returning to the site for the various industry policies. ACSUK Group LTD are based in Bolton and provide services across the UK.